Cheers to Art Summer Sale! Head to Cheers to Art for up to 50% off at their end of summer sale! They just opened a second location in Over-the-Rhine but you can still visit their original location in Madeira for this great bargain! The sale starts August 21 and runs through August 31. Cheers to Art is open Wednesday – Saturday at 1 p.m.
Purchase summer hats and scarves for 40% off, select T-shirts for just $20, select summer jewelry at 50% off and summer bags for 40% off. 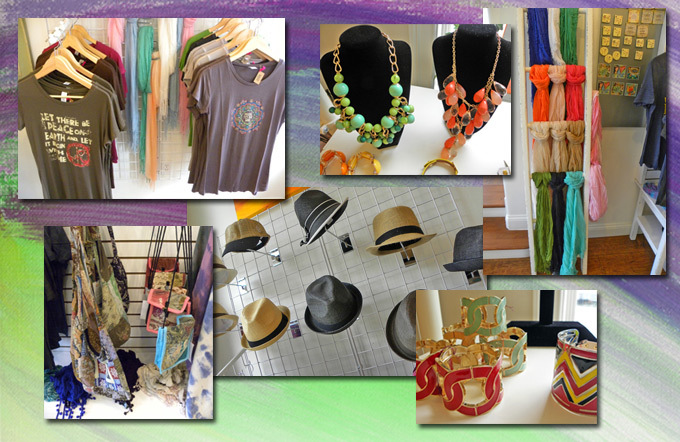 As Cincinnati’s premier painting studio and boutique, you can enjoy art as entertainment, painting, wine and gifts. Eat, drink, paint and be merry with hands-on art instruction where the ladies will walk you through a full painting in one night. 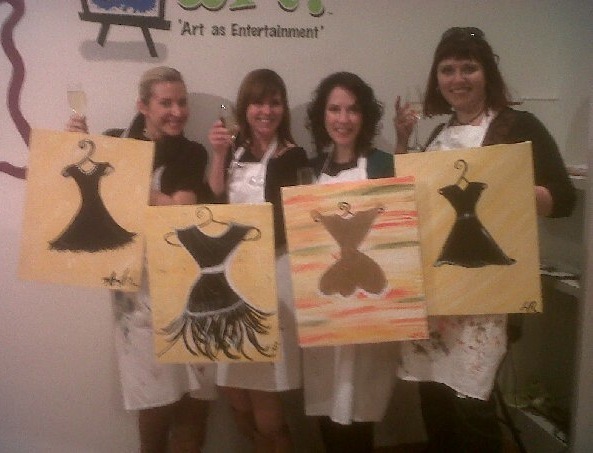 They offer scheduled classes including ladies’ night, drawing sessions or private parties. 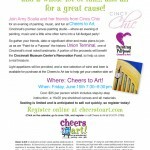 To learn more about Cheers to Art, click here or here to check out the articles we wrote about them on Cincy Chic! Me, my "Champagne Tuesday" friends, and our LBD paintings at Cheers to Art! Last year, my girlfriends and I went to Cheers to Art to enjoy a night of fun, wine and painting (click here to read all about it!). It was such an awesome night, and now, every time I look at the painting I made, I think of my girlfriends and how much fun we had that night. Fast forward to this year, I was talking with the Cheers to Art co-owners how we should do another event – make it open to the public – and have it benefit a local charity. 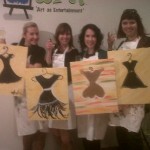 We eventually came up with the idea to do “Paint for a Purpose” on June 15. Click here to learn more about it, gather your friends, date or significant other and make plans to join us! The philanthropy we partnered with is the Cincinnati Museum Centers Renovation Fund, which benefits Union Terminal, so help us save a real treasure. See you there! Me, my “Champagne Tuesday” friends, and our LBD paintings!